Barter Books : Engel, Matthew [ed.] 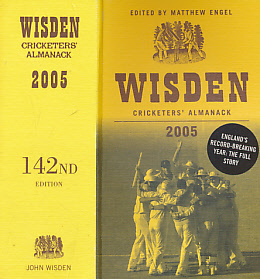 : Wisden Cricketers' Almanack 2005. 142nd edition. 160 x 100 mm (6 x 4 inches) - 1744pp + ads.